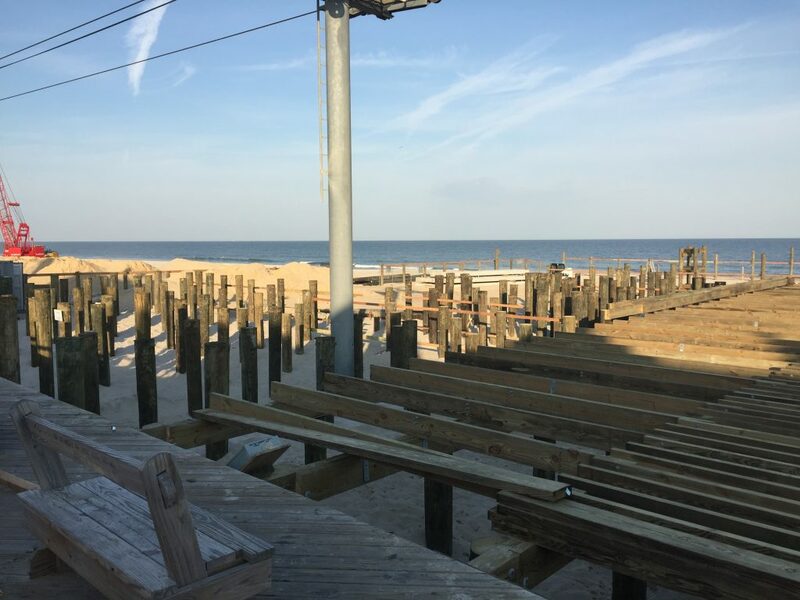 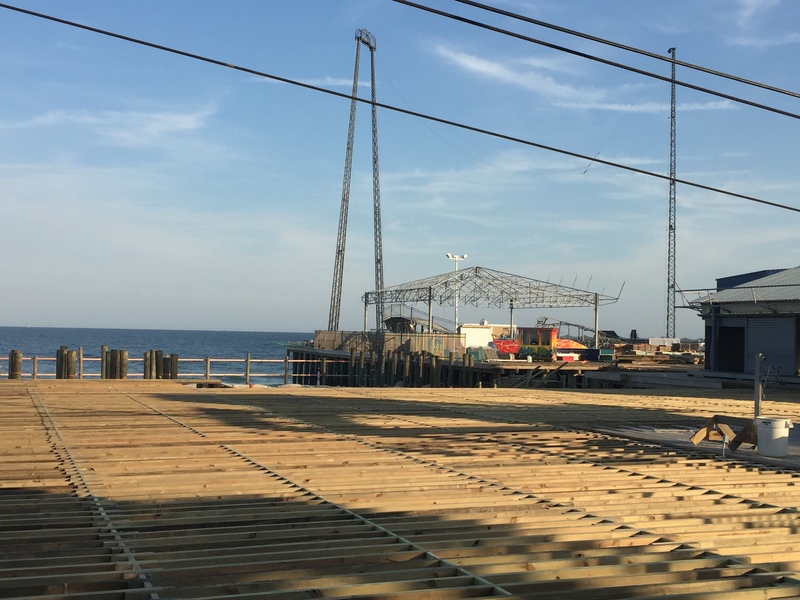 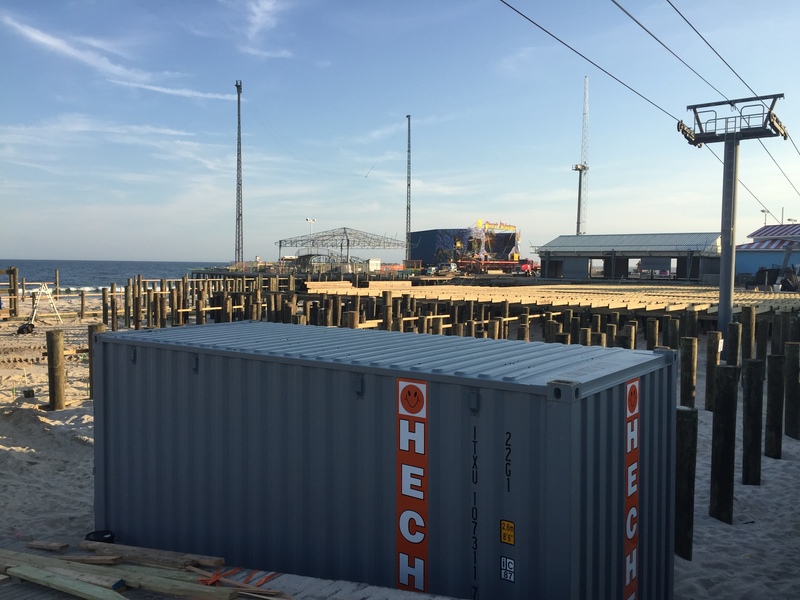 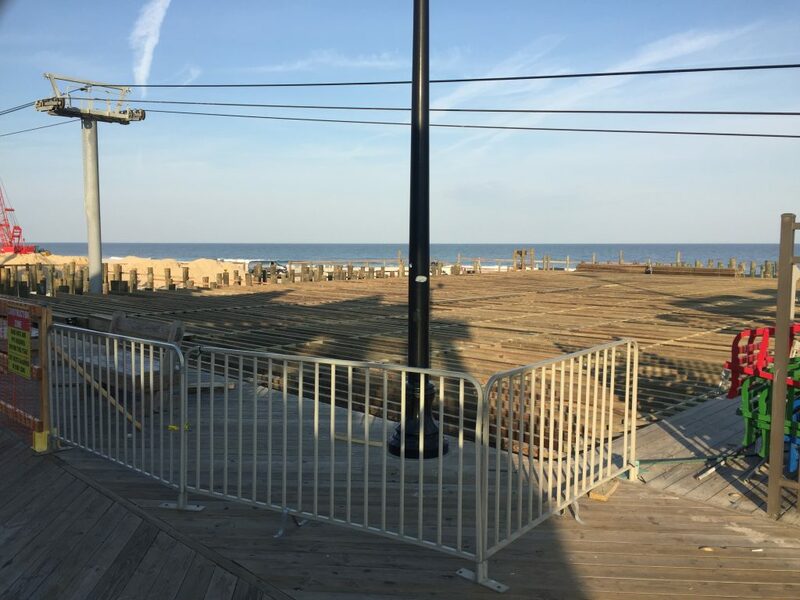 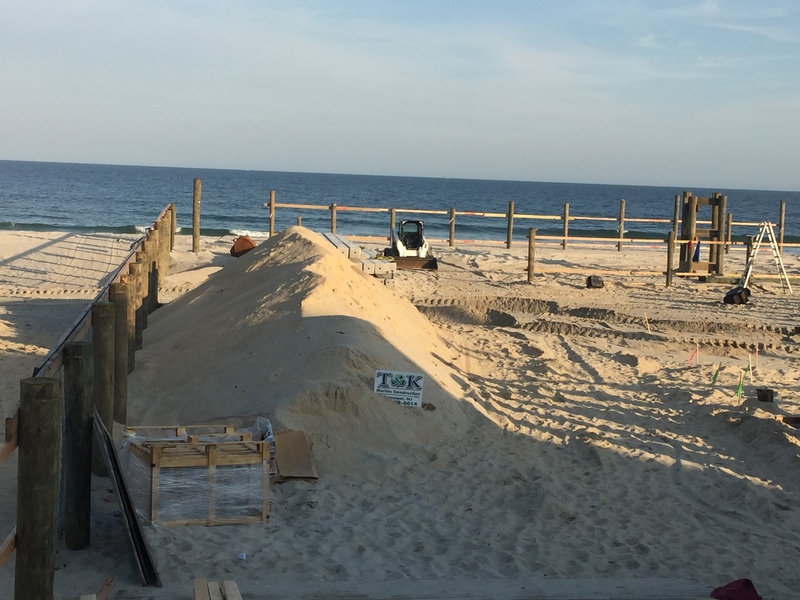 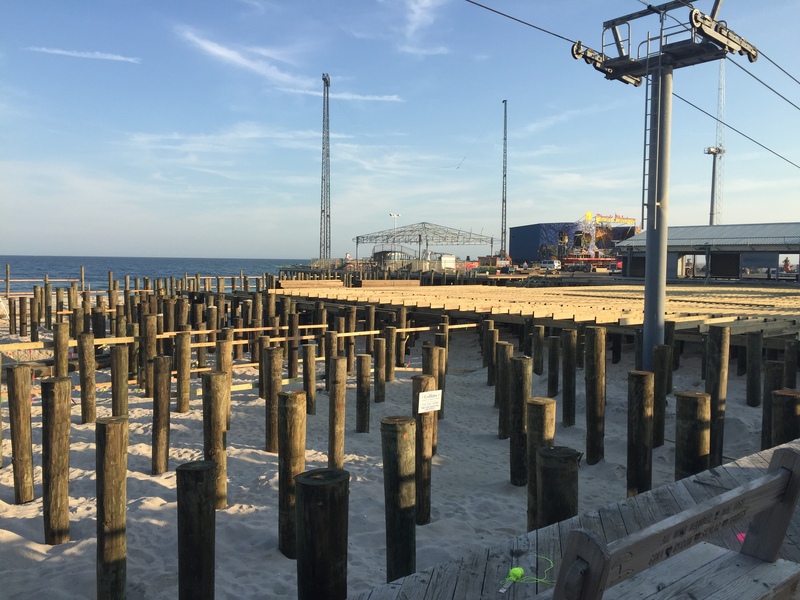 Since our number one request from readers (especially those who live out of town during the fall and winter months) is a periodic status update on the Casino Pier expansion in Seaside Heights, we thought we’d begin the first of several “update” posts this season to chronicle the expansion and keep everyone in the loop. 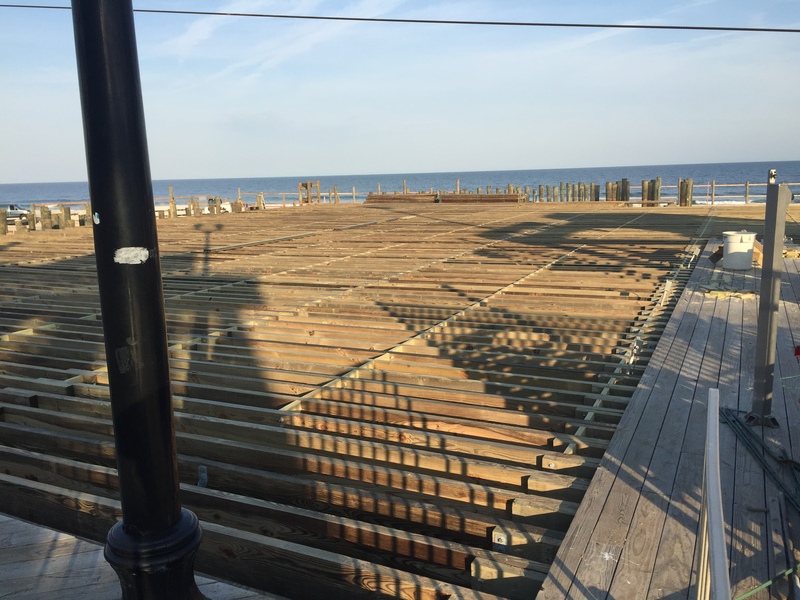 This past week, crews were busy giving the pier its floor after its frame and shape had been the focus for the first month of construction. 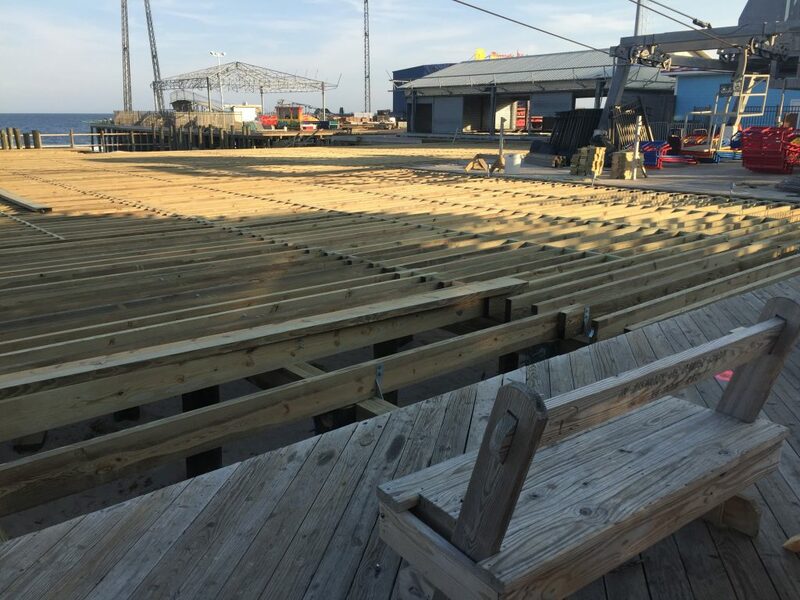 The pier now connects to the boardwalk in most areas and its floorboards are installed in many others. 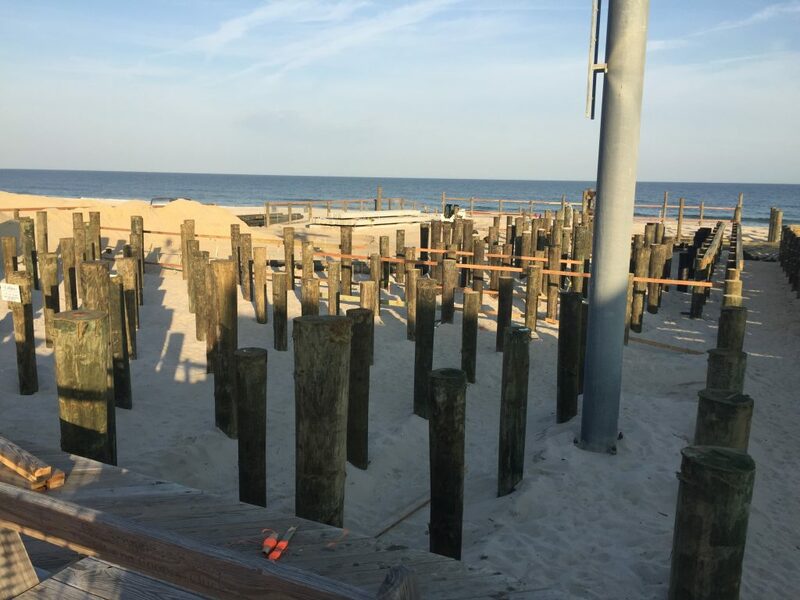 Meanwhile, crews are continuing to install pilings and complete the outer edges of the pier.